Join with other Strategic Doing practitioners from around the world at our third edition of this gathering. 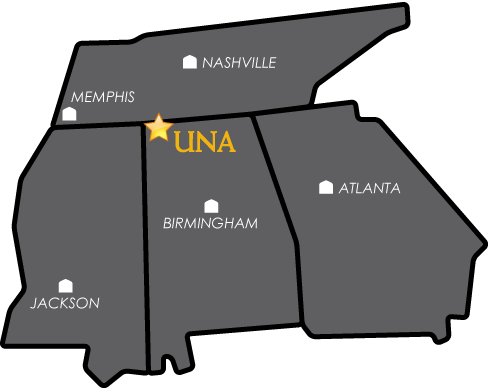 We’ll be hosted again this year by the University of North Alabama – who roll out the red carpet for attendees, showcasing both the area’s historic roots and the vibrant innovation ecosystem emerging from the Shoals area. The conference agenda will include chances to learn from best-in-class “case studies,” presented by the Strategic Doing practitioners that are using the discipline to bring about change in their communities, regions, organizations, and institutions. And, there will be plenty of time to build your personal network and that “community of practice” we talk about at our trainings. You’ll meet people from large and small communities, people who are new to Strategic Doing and those who have been at it for years. The group will include educators, activists, entrepreneurs, executives, economic developers, and consultants (and that’s probably not an exhaustive list). In short, it’s an opportunity not to be missed. At last year’s conference, attendees were the very first to see the completely-revised curriculum for our 2.5 day training for new practitioners. We have a new offering to unveil this year as well – but you’ll have to be there to see it in action. BE A PART OF OUR FIRST EVER POSTER CHALLENGE. Click here for your guidelines and template. TO REGISTRATION INFORMATION, Click here. HOTEL REGISTRATION INFORMATION, Click here. CONFERENCE FACT SHEET, Click here.